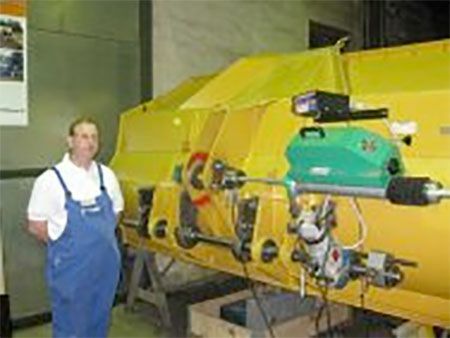 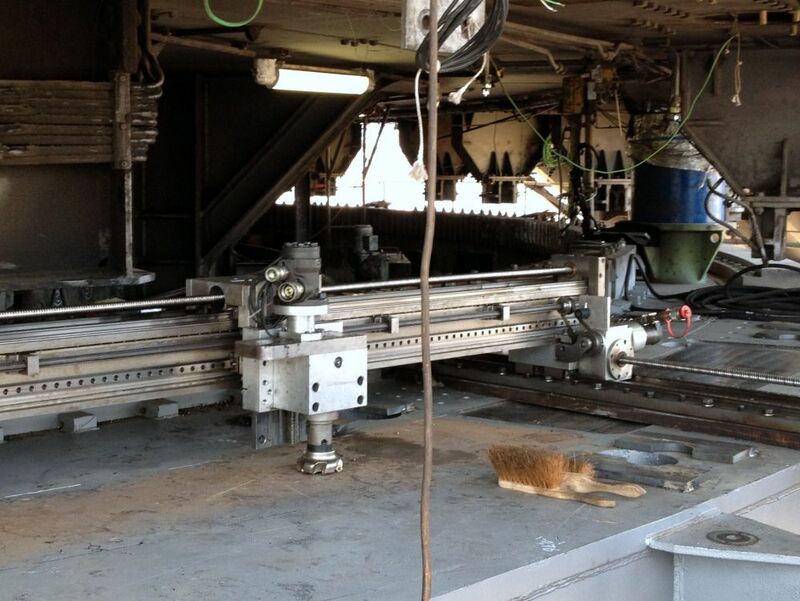 We offer mobile, on-site machining throughout the world! 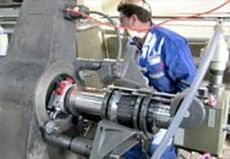 Send us your machining problem; we will solve it! 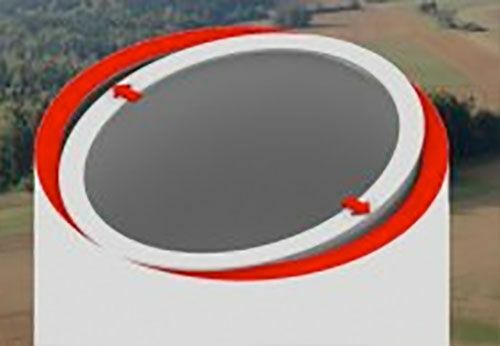 The larger the dimensions, the better! We can go small too, of course! 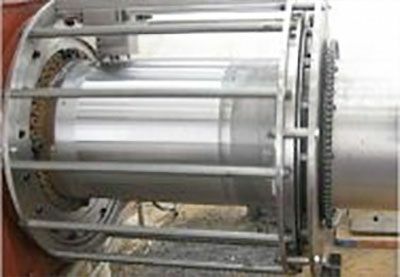 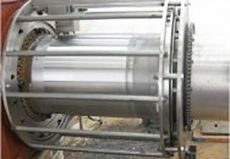 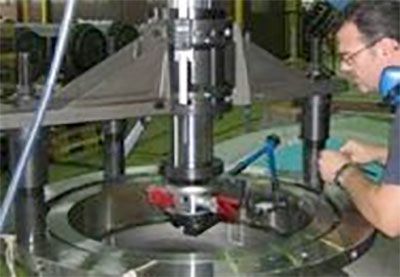 We have extensive experience in making special machines and devices for your manufacturing purposes! 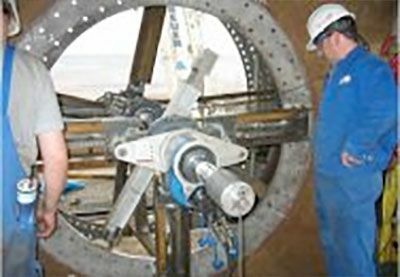 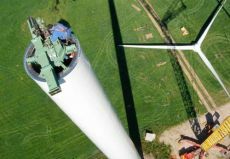 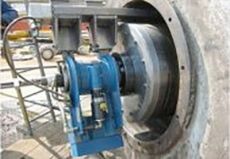 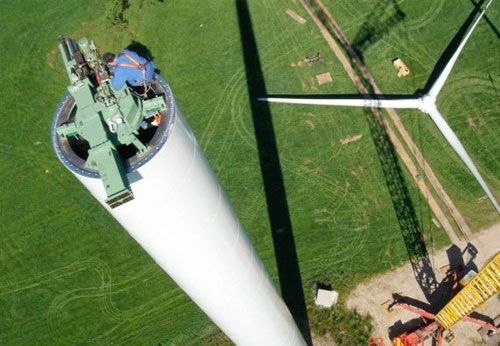 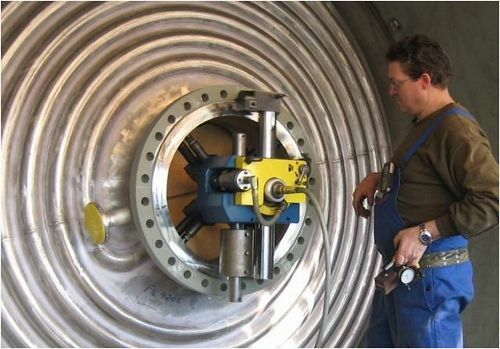 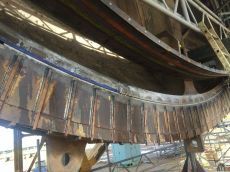 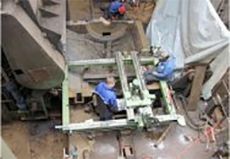 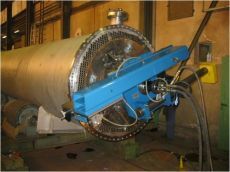 We carry out machining work specifically for onshore and offshore wind power plants. 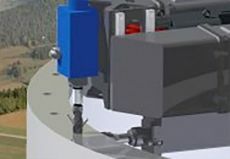 We have mobile surface milling cutters, frame cutters, milling bars, small milling machines and special machines, also with CNC control for on-site machining. 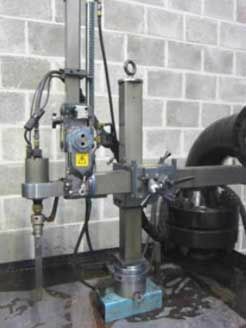 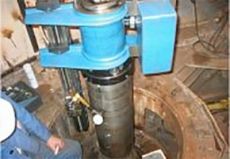 We have mobile magnetic drills up to MK5, angle drills and special drilling machines for all types of on-site machining, especially for onshore and offshore wind power applications. 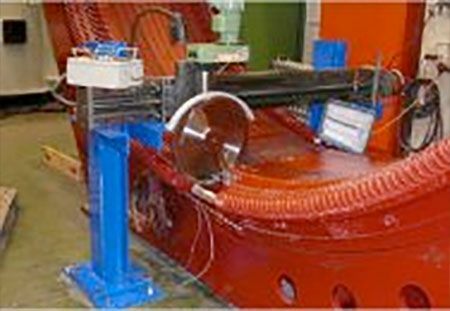 Various honing and super machines for a range of applications. Wir verfügen über mobile Zapfenendenumspindelmaschinen bis Zapfendurchmesser Ø630 mm bei Bearbeitungslängen bis 700 mm Länge. 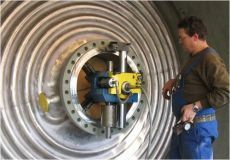 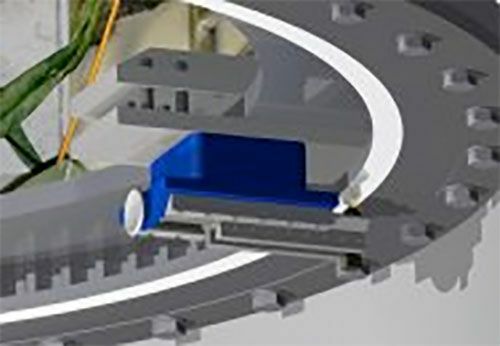 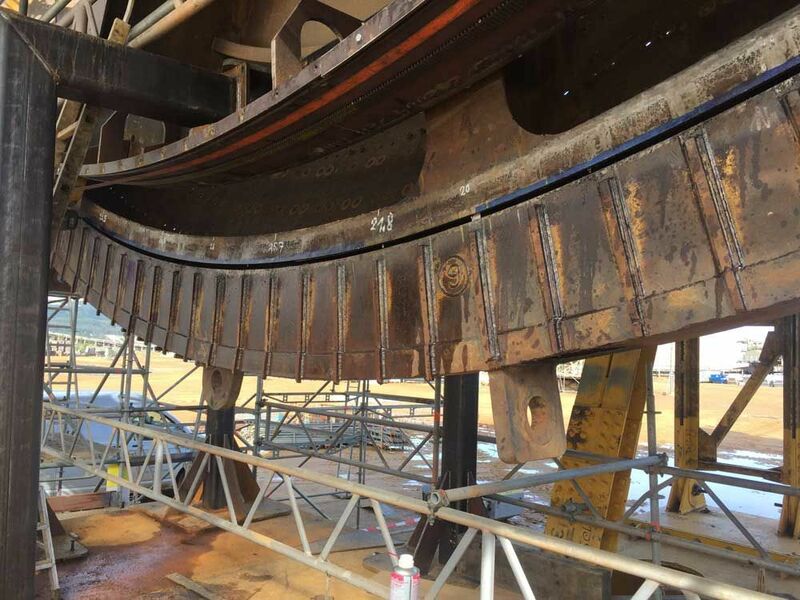 Außerdem verfügen wir über Zapfenumspindelkörbe bis Zapfendurchmesser Ø1200 mm bei Bearbeitungslängen bis 1500 mm Länge, die aber nach Kundenanforderungen jederzeit für die mechanische Vor-Ort-Bearbeitung umgeändert werden können. 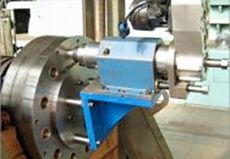 We have mobile surface milling machines, lathes and millers up to a machining diameter of 10,000 mm for on-site machining. 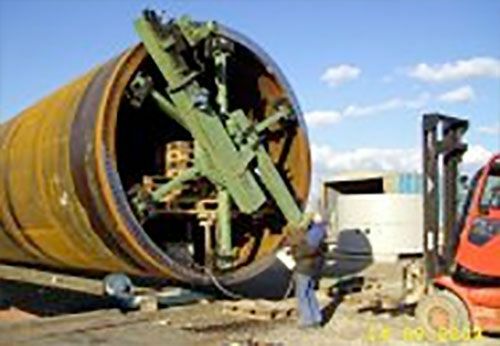 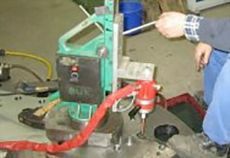 We have mobile grinding machines and devices for various areas of application in on-site machining. 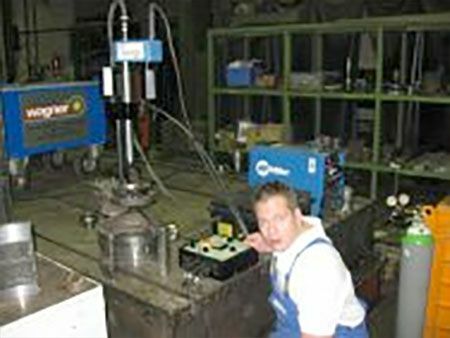 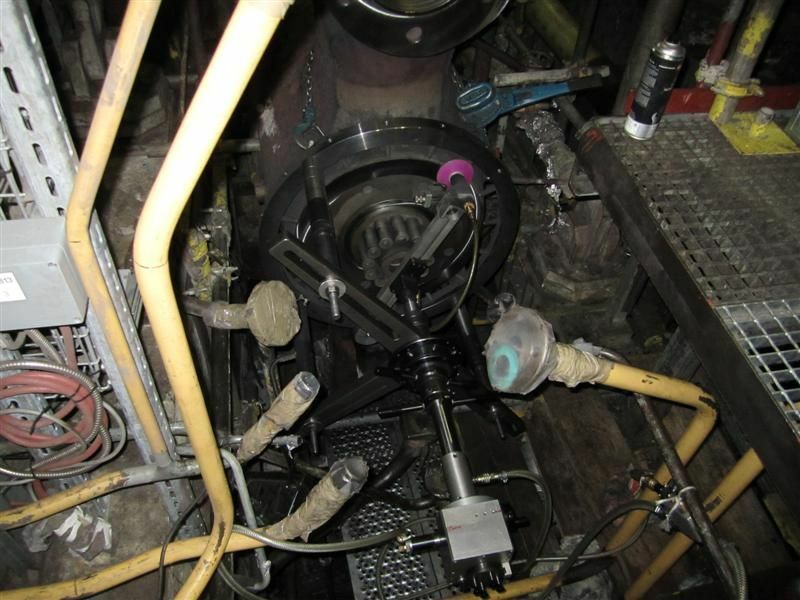 We grind valves, turbines, races, shafts and bores. 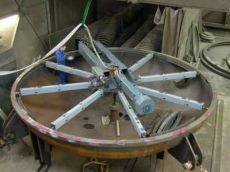 We can also provide the surfaces with a “super finish” using a special device. 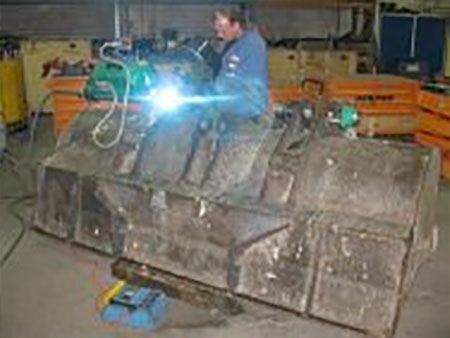 We have various mobile saws and cutting devices for a wide range of applications up to Ø over 3,000 mm for on-site machining. 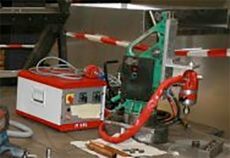 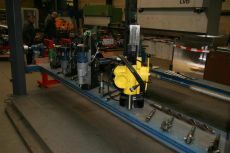 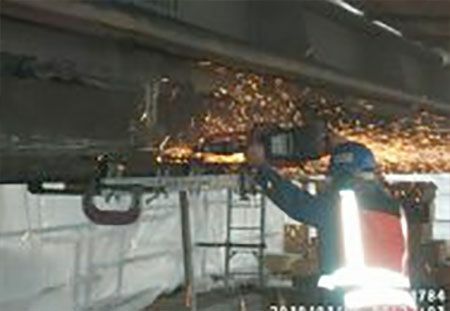 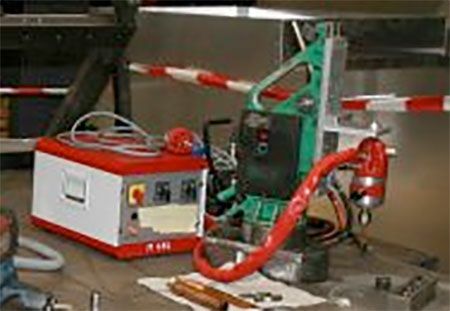 With our mobile, transportable internal welding machines, we can machine bores of Ø 40 - Ø 600 mm on site using build-up welding and then immediately cut the hole to the original dimensions with the same machine. Our welding work meets the manufacturing standard EN 1090 – certified by TÜV Rheinland. 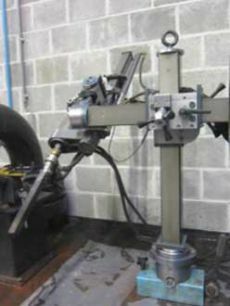 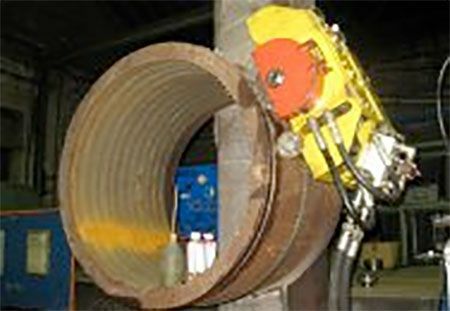 We have the specialist staff and equipment required to carry out welding work. 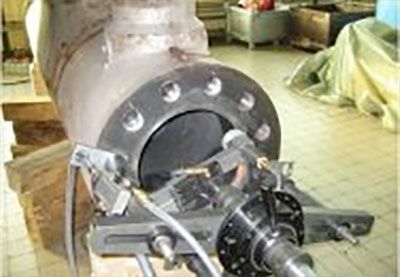 Eroding is now an essential part of on-site machining. 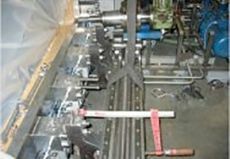 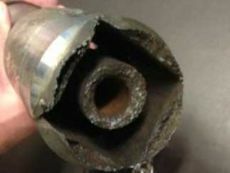 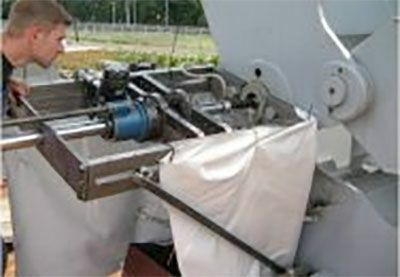 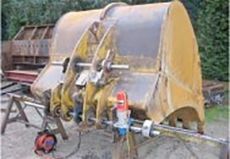 We provide mobile eroding work, e.g., for broken threaded tools or damaged screws or stud bolts. We offer mobile spraying services on site, using all the standard spraying processes such as plasma and flame spraying. 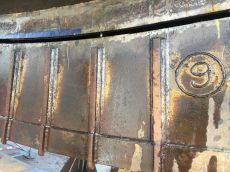 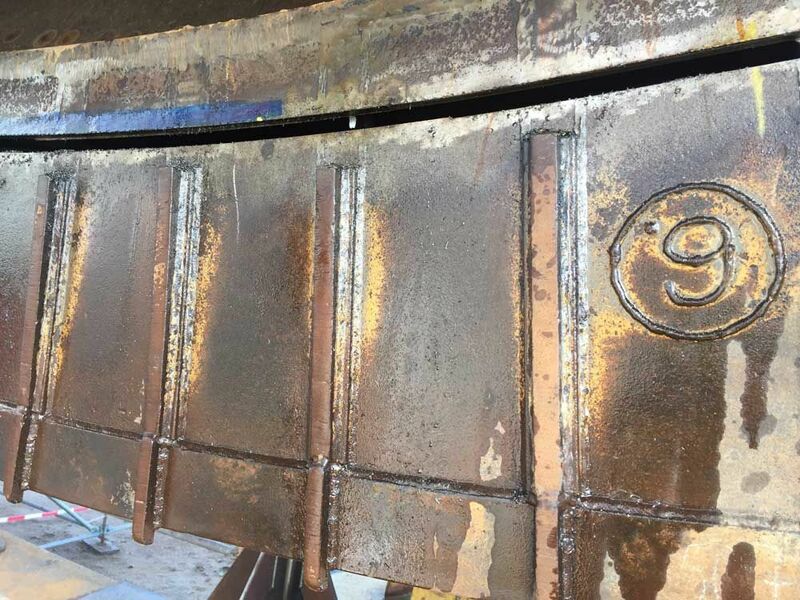 We also carry out the mobile sandblasting work required for this. The sprayed machine components can then be processed using the whole range of on-site machining options. Spindling, respindling and drilling out work in cases of misalignment, broken screws, etc. In choosing us, you are opting for the peace of mind of having a certified, highly ambitious and extremely trustworthy company at your side. We have over 50 years of success behind us, and about 15 of those are in the wind power sector. 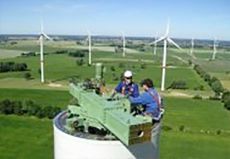 Den Wind Flyer als .pdf können Sie hier downloaden.